Steve Richard is the co-founder and chief revenue officer at ExecVision, a leading conversation intelligence platform. He’s also the co-founder of Vorsight, a leading outsourced appointment setting company. Steve says his mission and life’s work is to help sales professionals become wildly successful. He believes that the quality of sales conversations matters, yet the profession of sales largely misses the mark on teaching sales reps how to have great conversations. After 10 years as a sales trainer Steve learned that the only way to achieve his mission was through the use of technology to help more sales professionals worldwide. Outside of entrepreneurship and business, Steve volunteers for Columbia Lighthouse for the Blind and is an avid scuba diver, skier, runner, football watcher, dad to 4 little kids, and husband to the best wife in the world. Fred Diamond: Tell us what ExecVision does. What do you physically sell and tell us who buys it. Steve Richard: ExecVision sells softwarethat allows managers, reps, leaders to get into the content of the conversation. There is no way that everybody could hear all the sales calls that are happening in your organization, it’s just impossible. 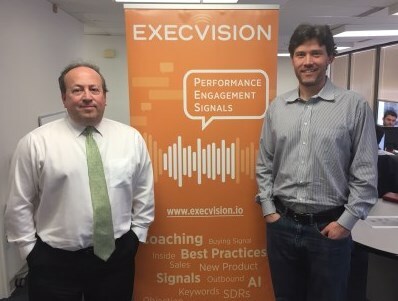 So with ExecVision it’s artificial intelligence (AI) assisted call coaching where the AI is helping direct you to what are the meaningful, relevant, coachable moments and then how do you have the intervention with that sales person to help them change behavior and improve their performance so they don’t make the same mistake over and over again. Fred Diamond: Can people change behavior? Steve Richard: Yes. It’s hard, though. Adult behavior change is hard and that’s a really good question and that’s really the crux of the whole thing – getting the sales people involved in their own development. I’ve talked to some people who said the reason that ExecVision software is so powerful is because the sales people can also raise their hand virtually to request coaching and then the sales people can also listen to them comment on their own calls as well as their peers, their managers, trainers, third party trainers, other people but that fact of just listening to yourself is probably the most powerful thing that any sales person can do and unfortunately it’s a thing that far too few sales people ever do. Fred Diamond: Tell us who your customer is. Do you sell to sales managers? Do you talk to marketing? Do you talk to the C suite? Who’s going to buy ExecVision software? Steve Richard: Yes, yes and yes. Usually it’s going to be the second level leader in sales so it’s going to be the first level managers will be important but it’s the second level, the person who manages the managers will typically be really into that. A big thing they’re trying to figure out too is are my managers coaching and if my managers are coaching, are they coaching the right way? This is a really compelling way that you can actually quantify the coaching acting in the company and then actually quantify the behavior change coming from the coaching in the company. Fred Diamond: Before we talk about your particular and your specific sales journey, how did you create all the content? How did you create the pieces that bring everything together? I know Vorsight’s done training in the past. Is that where all the data comes from, the information? Steve Richard: That’s a great question, it’s kind of a long and winding journey but really it started with the appointment setting firm where we were able to at the top of the funnel have about 30 people on the phone making calls on behalf of all these different clients and we were blessed with the ability to AB test what works and what doesn’t so we have this incredible laboratory of sales effectiveness. From that laboratory, that’s where the training came from because people kept saying, “Teach us your secrets.” And over the course of having that training business trained four thousand sellers along the way. That training business still is there to this day in Funnel Clarity that you know. And then from that, that’s where arose this idea that you cannot scale this mission without having technology. It’s impossible. And what I found in many cases, Fred, is the best ideas, the best practices in any company come within the four walls of the company. They’re there, so I would go work with the sales team of 50 people and in throughout the course of the 2 day training event I’d find out that Bobby over here knows this thing really well and Susy knows this thing and Janet knows this thing and Fred knows this thing but none of them talk to each other so if we just had a way of surfacing the best practices and sharing with each other we can create consistency and accountability and we’ll kind of come back to that theme later on in the sales team. Fred Diamond: Very good, so you’ve devoted the best part of your career to helping sales professionals optimize their career and get better. Let’s talk about your career, how did you first get into sales as a career? I had to pay off 65 grand in school loans, how are you going to do it? Some friend of a friend said, “Hey, you’re pretty good at presentations in the class. You’re not that good at helping build the presentations but once it comes time to deliver them, you’re good at that. Why don’t you go into sales?” I’m like, “Alright, sounds good.” I thought you gave presentations, I don’t know. And that’s when I found myself at the Corporate Executive Board, couldn’t have started my career at a better place. I know a lot of your guests have come from Corporate Executive Board and you see the authors at the challenger’s sale, they weren’t that at the time and that was just like a sales NBA. And from there, that’s where I was – I was actually failing in the beginning of my sales career so right out of the gate I was just about to get put on a performance plan and my backup plan, Fred, this is no joke, our family business is precast concrete products in the Northwest corner of Connecticut AKA septic tanks. This is a true story. My backup plan was to go work for my Uncle Jimmy in the septic tank factory and drive the septic tank truck. Nothing wrong with that, right? That’s great, but you know, compared to being at CEB. So I figured out really quickly what it took to be good at particular at the top of the funnel of prospecting, how did I do that? Everything I was doing didn’t work. I went and interviewed and sat with every other person in that company, I kind of did ExecVision the hard way, the old fashioned way and by doing that with my little notepad and none of the calls were recorded so I had no artifact. But with my little notepad I just wrote down all the best practices and I started doing all the things the top people were doing and none of the things that I was doing and I ended up being #1 out of 100 because of it. And one of those guys is David Stillman who’s our CEO and my business partner. So my journey in sales was accidental and I think alike a lot of other people I was not natural and it took a lot of hard work to get to a good place. Fred Diamond: Very good. What are some of the lessons that you learned? Steve Richard: If you go back to CEB when I was in a role prospecting, today we call that job sales development, the sales development reps or the BDR’s. What I learned first of all is that the gatekeepers are an incredible source of information if you know how to leverage them the right way and no one did. And I saw how the best people in CEB were doing this, it was really remarkable so I found frequently that the hardest part was just simply getting to the right person. Once you get to the right person then delivering the message effectively and engaging at conversation sometimes is actually quite easy. That was perhaps the easiest part of the process, so that was a big part of it. Another big part of it is people are programmed to say what they do. You asked me the question before, “What do you do?” don’t answer the question with that, answer the question around what are the challenges that people are seeing, what are the trends in the market, what are the relevant topics. One of the big challenges that we see is it’s hard to figure out if managers are coaching so we help address that. Another challenge we see is it’s hard to get adult and sales people to change their behavior. They become creatures of habit, they fall in routines, they fall into ruts. As I’m saying these things to you, I can actually see you, you can’t see Fred but he’s nodding. His head is nodding up and down. It’s that type of insight that’s very impactful. Fred Diamond: What type of companies do you work for? Steve Richard: Anybody who lives and dies by the phone and or screen sharing meetings is an ideal candidate for this. Now, this is the sad part, there are probably people out there that are listening and I don’t mean to offend you but I’m just going to be real. We find as a general rule of thumb the field sales people, the field sales reps that are out there tend to be a little more resistant to the idea of calls being recorded and, by the way, a legal and compliant way so that people are aware that it’s happening or it’s done in such a way that it complies with state rules but being recorded and then going back and reviewing. I even want feedback, Fred, from my peers which is interesting whereas a lot of sales people will say, “I don’t want my peers to hear what I’m doing.” Or here’s another thing, maybe it’s not just about coaching, maybe it’s also about knowledge sharing. “Hey, my sales engineer did this call and they did such an amazing, remarkable job. I want to make sure everyone has a chance to learn from it.” This knowledge sharing capability is a very big part of that so I think over time we’re going to see a change just like now everyone gives all their information to Facebook and LinkedIn freely, I think we’re going to see people become more and more open to the idea of transparency and visibility but those are big ideas. You’re basically naked, you can go into our ExecVision instance right now at our company if you had a license and we have ours so everyone accesses everybody else’s calls. Some of our clients make it so only the reps can access their own or the teams within there, however you want, but for us it’s all open. So someone who just starts at our company today – and we’re a company of about 60 people – can literally access every single sales call I’ve done since 2015. They can hear all the good, bad and ugly. They can watch the founder fall on his face, but that’s the kind of culture I want to create. I want to create a positive, productive culture where a lowly quote unquote entry level sales person will give me feedback, and in many cases I take their feedback and I learn from it. Fred Diamond: We have a lot of people listening on today’s Sales Game Changers podcast who manage young people, people who are first or second maybe third job into their career. You talked about how a lot of the sales reps want to get coached, they want to know how they’re performing. Is it a generational thing? Tell us a little bit about why there would be an openness to that type of transparency. Steve Richard: I wish it were that simple, I wish it were a generational thing. I actually don’t think it is based on that based on what I’ve observed. I find a lot of people who are in their 60’s and 70’s that use ExecVision who love it the most. It’s more of a cultural thing usually within whatever group they’re in. I don’t even want to say the company, Fred, because a lot of companies will have one manager will be very culturally resistant to it but another manager will be very culturally open or one individual versus the other. I find it’s more of a question of there are people who believe – and you’ve probably heard the Japanese word Kaizen – it’s the reason they kicked our but in the 80’s in auto manufacturing, the continuous improvement. There are people who philosophically believe in Kaizen, they live by Kaizen and then there are people who just don’t, who just kind of want their paycheck and they just want everyone to leave them the hell alone and it’s OK. It’s completely OK either way. One of the big findings we had from the software – it’s not actually from the software, it was actually more from how the software is being implemented at our clients. You think about coaching, the first thing that comes to my mind is I got an orb chart in my head, and you’ve got the VP at the top and the manager’s under the VP and then the reps. And you think in terms of well the VP is telling the managers to coach and the managers have to do all the work to coach all the reps. That paradigm is fundamentally broken because the managers don’t have time, they don’t have time to coach so one of the things that we’ve seen, and we’ve seen and then emulated with our other clients is flip the coaching paradigm on its head so what you do is get the reps to take some ownership of their own development. Get the reps to comment on their own calls, to score their own calls, to share what they see with how they’ve broken down their game tape with the managers. The managers then do the same, the managers have information being pushed to them. So in our company now, Fred, we’ve got a really unique culture where I’ll share my calls with the whole company in some cases, say, “Hey, listen to this highly. I want you to hear this 4 minute section, it’s just golden.” And then in many cases I have them sharing calls with me even though I’m not their direct manager and the answer to the question, “who coaches in the company?” is everybody. If you have a coaching culture, everyone’s open to that. Everyone knows what good looks like which is a very important part of the whole thing and then everyone knows how to change the behavior to move to a point of good. Fred Diamond: Steve, take us back to an impactful sales career mentor for you and how they impacted your career. And he was right, I sat there for I think 6 hours that day and I had three appointments and I was back. There was a lot of other things too but that was a big one. Fred Diamond: So you just got on the phone. Steve Richard: Got on the phone, yeah. The other big mentor is Tom Snyder, a great lesson, you’ll probably have him on. Fred Diamond: He’ll be on a future episode, yeah. Steve Richard: Very good. Great lesson he taught is people value more what they conclude for themselves than what they’re told, you hear him say that a lot. People value more what they ask for than what’s freely offered and that is the essence of persuasion, it’s a great lesson. Fred Diamond: You talk to tons of sales leaders, of course you’ve been talking to sales leaders for pretty much your whole career. What are the two biggest challenges that either you face today or that you see sales leaders face with today? Steve Richard: I wrote an article on this, it was called, “The 2 Most Important Words in Sales Leadership.” I went back and reviewed my calls, I did some key word searches of my own calls with sales leaders so I was doing what you are doing except I was trying to sell them stuff and it was over 200 calls and the words that kept coming up are consistency and accountability and I said those before. As you get into that, you’ve heard of Sandler and the Pain Funnel and the asking the questions about challenges and problems and pains and frustrations and when you peel away all the layers of the onion, in the middle every time was, “Boy, if we could just have a culture where we had consistency and accountability at scale all of my problems would go away.” There it is. So how do you do that? I believe you do that through observable moments and visibility. Fred Diamond: Observable moments. Relevant coachable moments. Steve Richard: You know what’s funny, Fred? I’m really geeking out over the neuroscience of buying and selling and I can tell you my biggest win ever is ADP, they’re a client of ExecVision, that’s phenomenal. But I couldn’t tell you what happened along the way. I can tell you the 5 most painful losses that I experienced in my career in much more vivid detail than the wins and I go back to the neuroscience, the reason is because when you’re in your waking hours, you’re using your short term memory which is like your RAM in your computer, and then overnight there’s the process where your brain when you sleep transfers that, some portion of it, into your long-term memory. Unfortunately, there’s something called the forgetting curve where our brains are wired to purge the vast majority of the information we receive so that’s why sales training doesn’t stick mostly, because everyone forgets it if it’s not put into their long-term memory through repetition. And after that the new chief revenue officer put me through the ringer on all this stuff that we had to put together, it was 40 hours of my time and my team’s time to put all this stuff together and little did I know, his best friend or one of his best friends, John Costigan, and they play golf together in North Carolina. And the lesson I learned and actually I think about Andy Miller when I say this is you can’t outsell the relationship. You just can’t. And after I got the news we lost, it was inevitable, it was a forgone conclusion. I looked in LinkedIn and I looked at this guy, this chief revenue officer and how I was connected to him, and there was one connection: John Costigan. And I said, “Dang it!” I wasted a lot of time and I was pitch in dead. I had no chance of winning that business. Fred Diamond: You mentioned artificial intelligence before. Let’s chat for a second or two, what’s your philosophy on how artificial intelligence will play into the future of sales or sales coaching? We hear from people who say that AI is going to take over sales. There’s not going to be any sales people at any point in the future. Give us your thoughts on that. Steve Richard: OK. Number one, baloney. Not going to happen because they can’t shape people’s buying visions in the same way, they can’t get to that point of having a consultative dialogue. When it comes to coaching there are some companies out there that are saying that AI is somehow going to make your team be better. We also say BS. To think that somehow AI is going to make your employees engage is nonsense but we do believe, Fred, is at the same time there’s this problem of the big pile of call recordings for those that record. There’s just far more information out there on buying and selling than anyone can absorb so the whole concept of AI assisting in the process of identifying the coachable moments we believe is going to be a key to unlocking performance. Fred Diamond: What’s the most important thing you want to get across to the selling professionals listening to today’s podcast to help them improve their career? Steve Richard: That’s a great question. Aligning with the buyers and understanding where the buyers are in their buying journey and understanding how to react to different situations. I was actually doing a call camp yesterday, Fred. We talk about how every different approach or strategy or tactic that you have in your tool kit as a sales person is kind of like if you’re playing hearts. Have you ever played Hearts or Spades or Bridge? Steve Richard: You throw the card out and you’re playing into your partner’s hand and you don’t know what your partner has and they have to play back into your hand. Or another way of thinking about it as Lego pieces, you want to assemble a conversation with a different set of Legos every single time and what I find is that a lot of sales people don’t understand the buying journey. You ask a very simple question. An example I use to illustrate this is buying a mattress, it’s almost a perfect example. At any given time you’ve got 3% of the market in an active buying cycle, for a mattress 40% is susceptible to looking. How you approach the actively buying crew is different than how you approach the ones that are susceptible to looking is different than you approach the ones that are not susceptible to looking. And then once you’re in an active buying cycle, how you approach someone who’s at a period where they’re understanding what their needs are is very different than when they’re evaluating options. So frequently we see sales people that jump ahead too fast and they start talking about features. If the person’s in evaluation mode, the features make a ton of sense, but if the person’s just trying to figure out, “What are we trying to do here? What are we trying to accomplish in the first place?” The features make no sense at all. Fred Diamond: “Go sit, and you know what you need to do.” And you did, six hours later you had three appointments scheduled and you applied yourself. You guys are in the data space, you collect tons of data on sales calls and then analyzing them and then finding trends and giving information back. 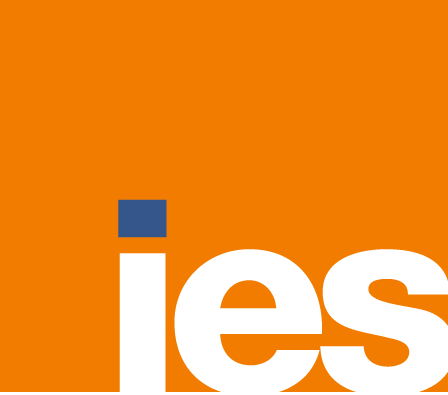 How can sales professionals take that and get better? Let’s talk about the gap. We talked a little bit before the gap between all this great data, this beautiful data that you’re collecting and then presenting to the customer and then how does the rep take that? The actual rep, and get better. Steve Richard: You want to know the one thing, the easiest thing that every sales person can change that almost all of them are not good at? And this is shocking, Fred, it really is. Fred Diamond: I do. Tell me that. Steve Richard: And we’ve heard a lot of calls or AI’s analyzed a lot of calls, closing for next steps. Steve Richard: It seems like it’s so simple but you’ll hear these people have these great conversations and they don’t ask for the next anything, whatever that anything is, if it’s a meeting, if it’s to get together at an event, a dream forest, if it’s closing to ask for the business, they just don’t close for next steps. Fred Diamond: What do you ask for, another appointment, a sale? Steve Richard: OK, so little secret for the people who hear this is the offer is a really interesting thing. What is the thing that you want the buyer to do next and how does it align with their buying journey and then how does it connect with something your product or service can do that’s different, your unique selling proposition, value proposition. Fred Diamond: Steve, what’s a major initiative you’re working on today to ensure your continued success? Steve Richard: Major initiative to ensure continued success is making sure that people are ready and prepared for the transformation required from transparency and we deliver something called The Sales Coaching Academy for our clients. I’m delivering a lot of Sales Coaching Academies. What we find is most people don’t know how to coach, they don’t know how to create an environment where coaching is positive and productive. One of the things we’re actually able to measure in our software is if the coaching that someone receives is negative versus positive because if the rep is constantly being berated with negative feedback, that’s, you know. Manager might think they’re being constructive but in the reality they’re just being bad and mean, the rep is going to reject the coaching. So getting the leveling up the humans to keep up with the machines on this coaching problem is a big thing I’m thinking about. Steve Richard: I love studying, buying and selling. It’s what I’ve committed my career to other than the four kids and my wife and my few hobbies, not that many, the skiing and the scuba diving, it’s all about studying, buying and selling because you learn something new every day. My friend says sales is the school you never graduate from and I believe that’s true. Fred Diamond: Steve, why don’t you give us one final thought to share with the Sales Game Changers listening to today’s podcast to get them inspired? Steve Richard: Remember my personal story, I wouldn’t be sitting here right now, I would be working for my uncle Jim in the septic tank plant if it wasn’t for the fact that I was humble enough to say, “I don’t have the answers, I’ve got to go learn from the best people and emulate their success” and by doing that, by creating a best of breed of their approaches, I went to #1 and I actually broke the com plan that year, Fred. I made more money than CEB wanted to pay, they said we’re going to change the com plan because of you. They even called it the Steve Richard rule. How do you do that? It wasn’t natural talent, it was learning from other people and being humble.